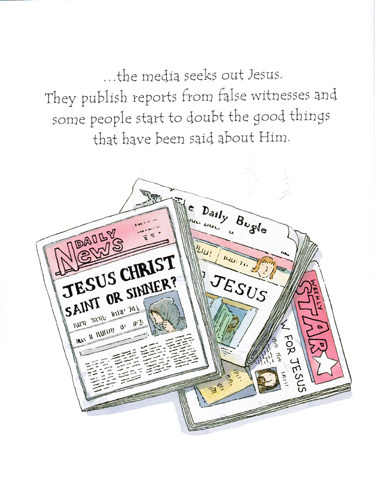 If Jesus were teaching today, how would the media tell his story? Would they hail him as a hero when they reveal the miracles? Would they publish true or false reports? Would they stir up public feeling in a good or bad way? 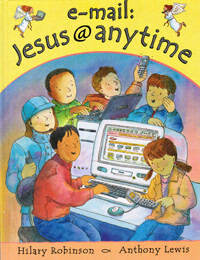 A very different book – but one which has also been inspired by the internet - is ‘e-mail: Jesus @anytime’. 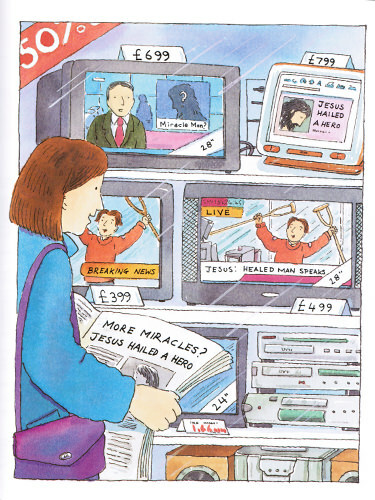 This is a children’s book which imagines how the modern media would report Jesus’ life and trial. It’s cleverly written in the present tense – so you feel the immediacy of the story – and there are some very nice touches. 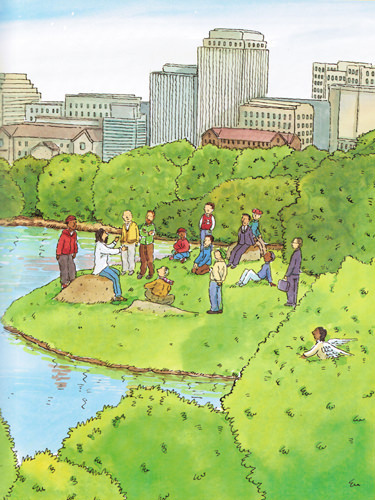 I particularly like this illustration which goes with the words: ‘Four authors write true stories about his life. They become bestsellers’ – and there you’ve got a picture of Matthew, Mark, Luke and John at their book signing!